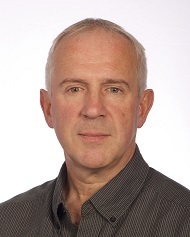 Len Seymour is Professor of Gene Therapies and Director of the Clinical Pharmacology section within the Department of Oncology. Professor Seymour is committed to translational research in cancer and brings expertise in virology, cancer biology and drug delivery. His main interest is to combine genetic and chemical engineering in development of biologics for treatment of cancer, including oncolytic viral vaccines. His team are now developing ‘armed’ variants for immunotherapy or as cancer vaccines. The viruses are genetically engineered to express and secrete biologics selectively from tumours in vivo, allowing us to modulate the intra-tumour immune environment. Currently we are expressing TNF, gamma interferon, anti-CTLA4, anti-TGFbeta and anti-IL10 in preclinical systems, developing mechanistic hypotheses over how best to overcome peripheral tolerance and stimulate anticancer responses.